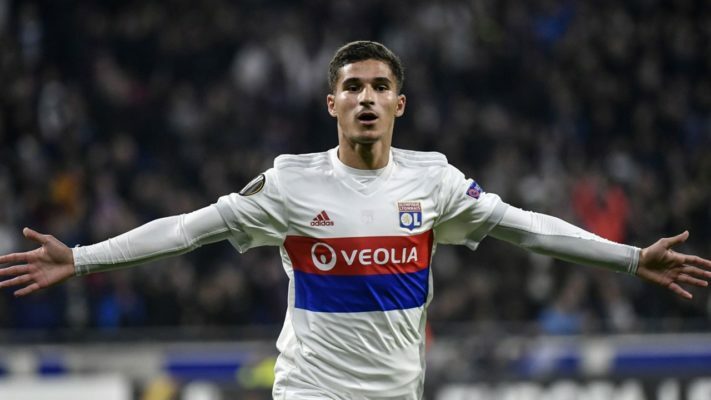 North London side Arsenal have met another disappointment in their pursuit of French Ligue 1 outlet Lyon star Houssem Aouar. The Gunners are making efforts to secure the signature of Houssem Aouar ahead of the winter transfer window which reopens in coming weeks but that seems to be a failed project after it has been reported that a second approach for the player by Arsenal was rejected. The star midfielder has been impressive for his French side this season and was also a major part of eh team that recorded a 2-2 draw in the Champions League last season against Manchester City. According to reports, City’s Pep Guardiola was impressed with Houssem Aouar and has also set his eyes on him with the hope of luring him to the club as well as Chelsea and Liverpool who are also suitors. The Lyon star has been tipped as a perfect replacement for Aaron Ramsey who is destined to leave the Emirates Stadium at the end of the season. The Gunners, however, seem not to be desperate for a buy with the management insisting that the club will not be involved in transfer dealings this January window unless in cases of emergency.